Cotton Clouds' booth ready for shopping! 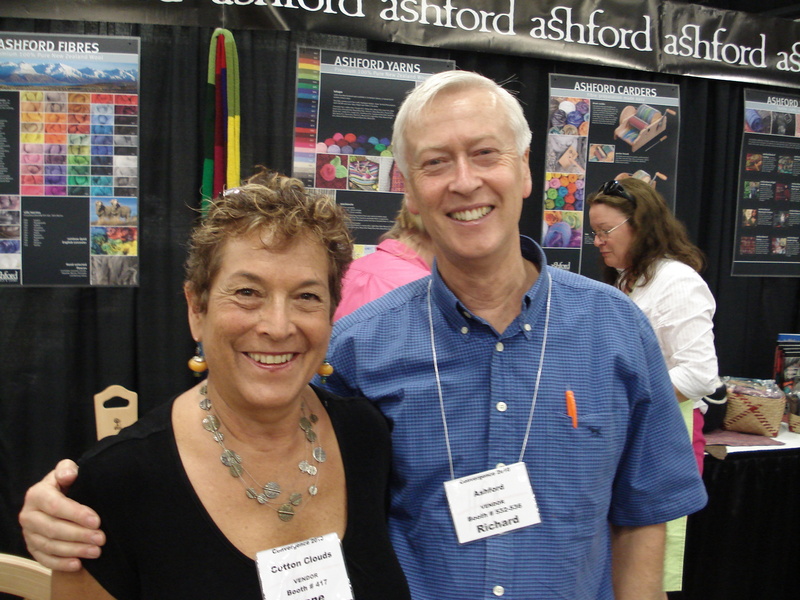 It was a busy first day since so many of our valued customers stopped by to visit, pick up their brand new & updated 2010 Cotton Clouds’ catalog (ask for yours with your next order) and shopped till they dropped at our booth. 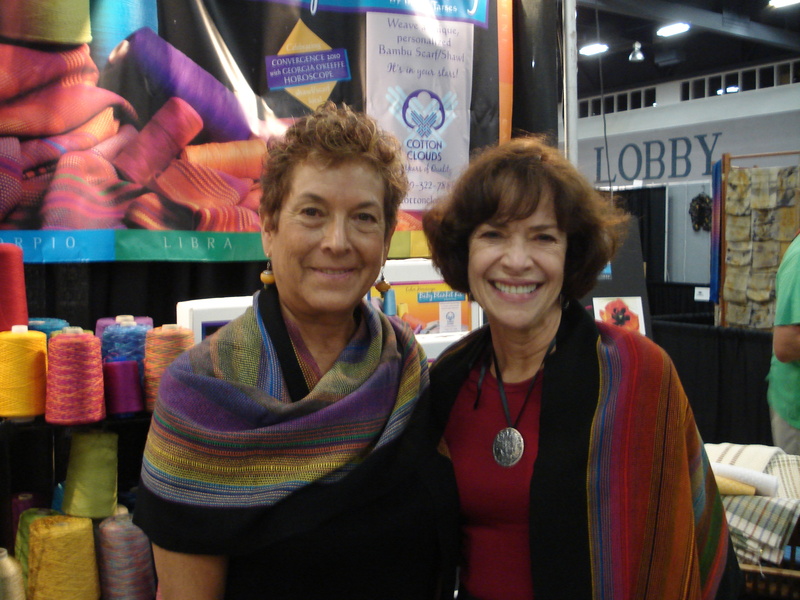 Lontime friend of Cotton Clouds’ and Bonnie Tarses, Irene Monroe (on right) stopped by to show us her exta ordinary Color Horoscope Shawl (her husband’s horoscope!) 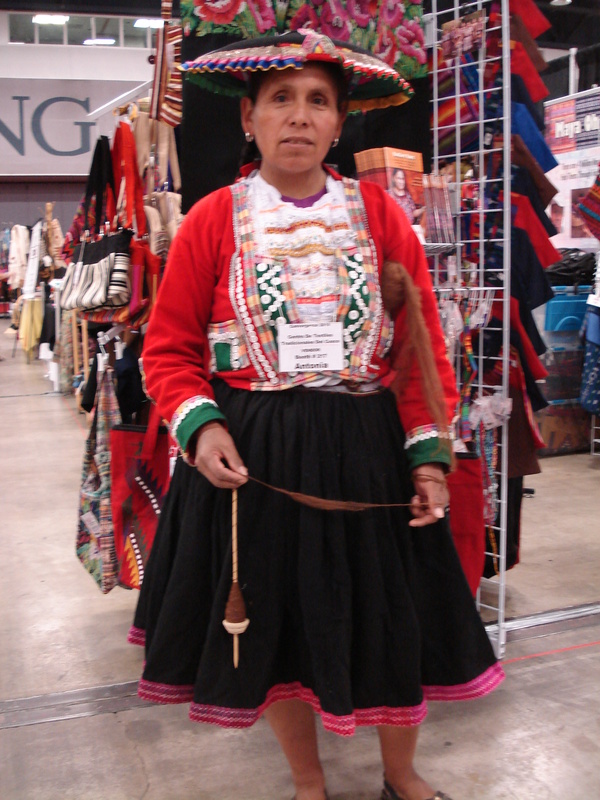 woven in her own hand dyed bambu yarns! We love when customers stop by! Ashford Handicrafts of New Zealand sponsored a Ashford dealer breakfast this morning, introducing us to all their new products. Most exciting is “the Katie” 8-harness portable workshop table loom. There are so many Richard Ashord-inspired conveniences on it that you are going to love it’s ease of warping(very clever guy this Richard!) and it’s lightweight and portable (comes with a convenient carry-bag) aspects. Ideal for taking on vacation and for workshops. 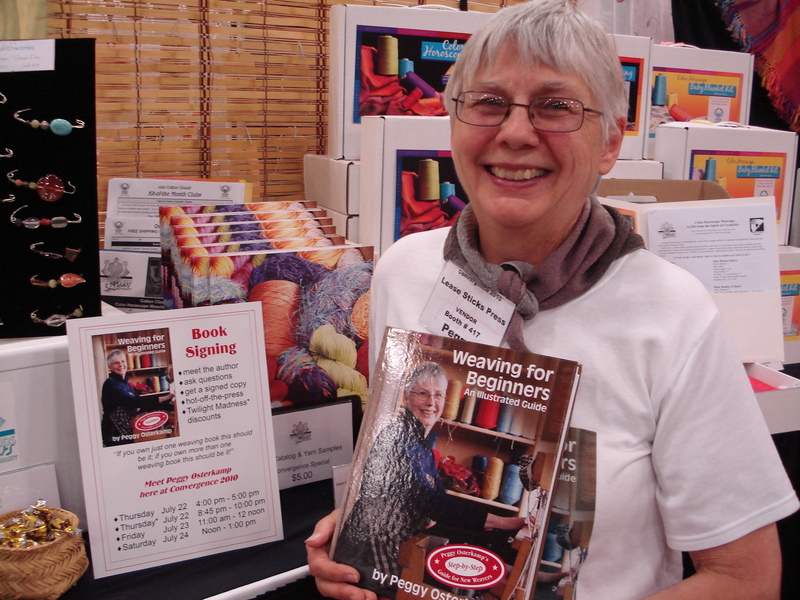 Peggy Osterkamp & "Weaving for Beginners"
Although it wasn’t our scheduled “Weaving for Beginners” book signing, Peggy was swarmed by “groupies” who love her work and wanted her to sign her book which was on sale in the Cotton Clouds booth. It’s now considered THE learnning to weave book; one that you’ll want to own whether you are new to weaving or have been at it for years. Especially essential if you are going to (we hope you are) teach someone else to weave. These are now in stock at Cotton Clouds. Click here to order yours! Convergence 2010 is certainly an international event. 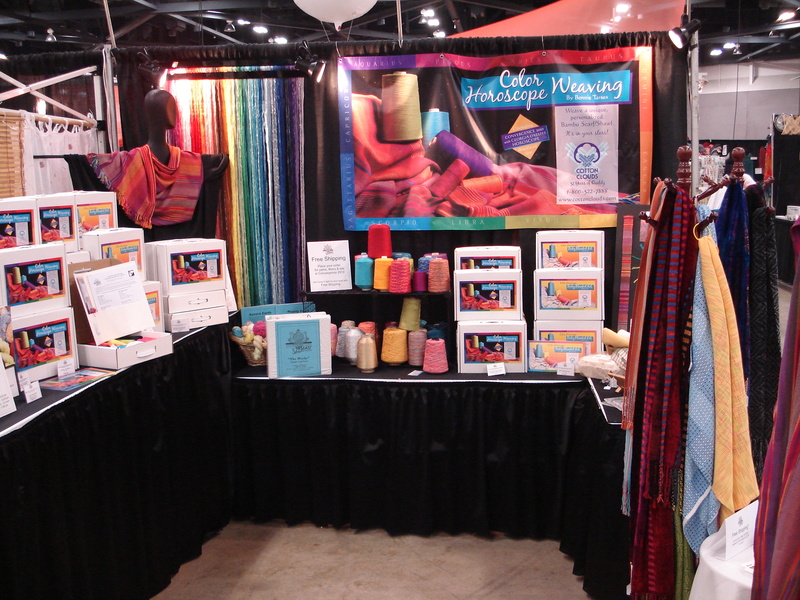 There’s so much excitement an enthsiasm to welcome spinners and weavers from all over the world. Isn’t she a beauty. 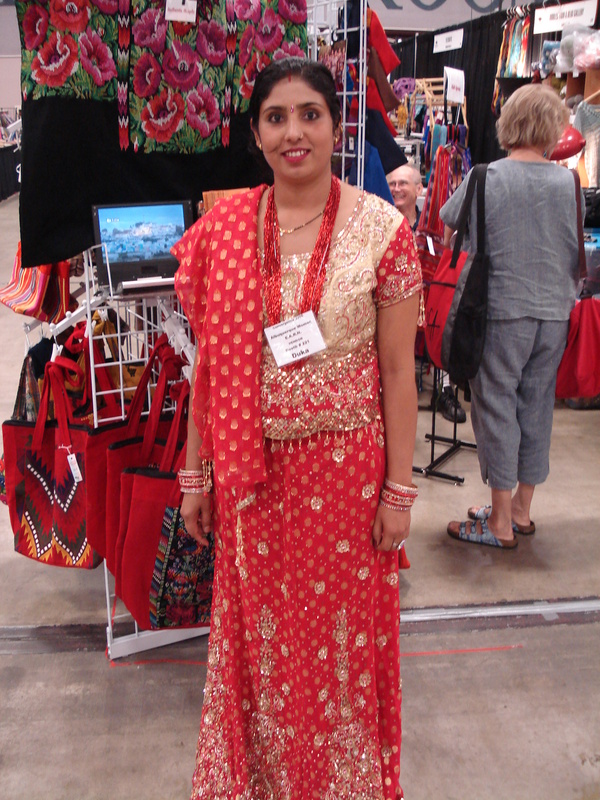 And this beautiful young woman is from Bhutan but living in Albuquerque. Notice the red dot (Kumkum) between her eyes, as an act of worship to the inner Guru to overcome ego. Ah, we all should be wearing one of these! Previous Post Albuquerque Here I Come!